The Black-necked Swans’ appearance is very much derived from its name, with black head and neck contrasting greatly with the rest of the body which is white. They have a grey spatulate bill with a pink caruncle at the base. Adults have flesh coloured legs and feet, and legs are set far back on the body to increase swimming efficiency, but this does make them clumsy on land (Todd 1979). Juveniles have a dark brown head and neck colouring, turning black after the first year, and they have full adult plumage by 18 months. The bill is of a pinkish grey appearance, and the caruncle does not become fully developed until 3-4 years old (Navas 1977; Seijas 1997). The Black-necked Swan has a soft musical whistle which they utter repeatedly when threatening intruders. This sound is also used as triumph display by paired birds, and a contact call whilst in flight. Tone and pitch of calls are similar for both sexes, with cygnets having a lighter tone that is more goose-like (Kear 1972). Wild adults moult their flight feathers between August – December, whilst collection birds in the northern hemisphere moult in June – August (Kear 1972). 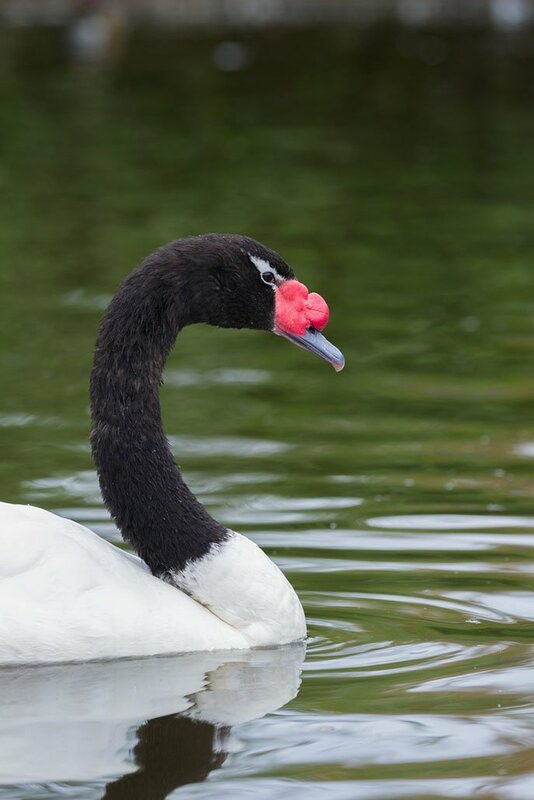 The Black-necked Swan is native to South America with populations extending from southeast Brazil down through Chile and Argentina to the Falkland Islands (Schlatter et al. 1991). This swan breeds mainly in the southern parts of its range and tends to occupy the same range throughout the year. Although the Black-necked swan has been cited as occurring in Paraguay in international literature, there is no evidence of this (Smith 2016). From: Wetlands International 2016, (1) Antas 1993, (2) Schlatter 2002, (3) Woods & Woods 1997. These swans are found on a variety of wetlands, from shallow lakes, coastal lagoons to harbours and swampy river basins, often in close proximity to humans on the continent, but on the Falkland Islands are fairly shy (Woods & Woods 1997). They prefer areas of high water levels to feed and fair amounts of vegetation and pondweed. Human hunting for sport and food. Used in Jewellery and handicrafts. Taken for pets and animal displays (BirdLife International 2012). Antas, P.T.Z. (1993). Unpublished data concerning South American Waterbirds. Kear, J. (1972). Reproduction and family life. In The swans (ed. P. Scott and The Wildfowl Trust), pp.80–124. Michael Joseph, London. Navas, J.R. (1977). Aves Anseriformes. Fauna de Agua Dulce de la Republica Argentina,Vol. 42. Fundación para la Educación, la Ciencia, y la Cultura, Buenos Aires. Seijas, M.S. (1997). 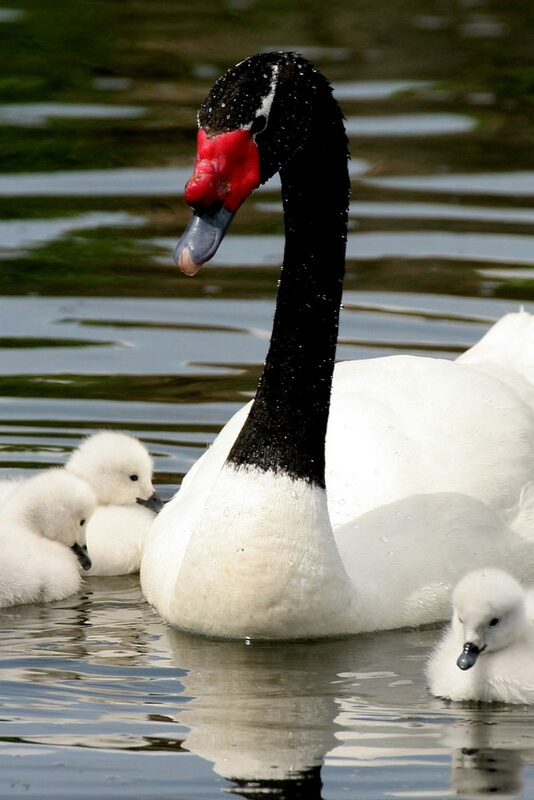 Age differentiation in the Blacknecked Swan Cygnus melancoryphus.Wetlands International Swan Specialist Group Newsl. 6: 20–26. Schlatter, R.P., Salazar, J.,Villa, A. and Meza, J. (1991). 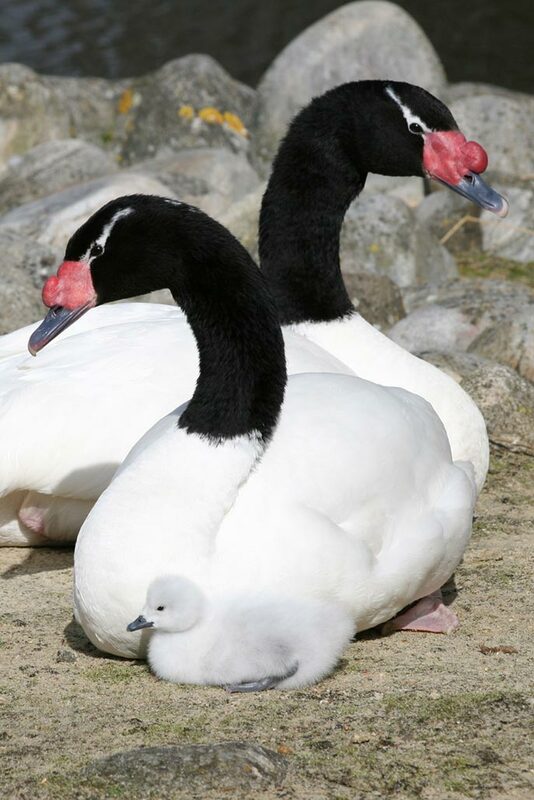 Demography of Black-necked Swans Cygnus melancoryphus in three Chilean wetland areas. Wildfowl Spec. Suppl. 1: 88–94. Schlatter, R. (2002). Unpublished information on Southern South American Waterbirds. Todd, F.S. (1979). 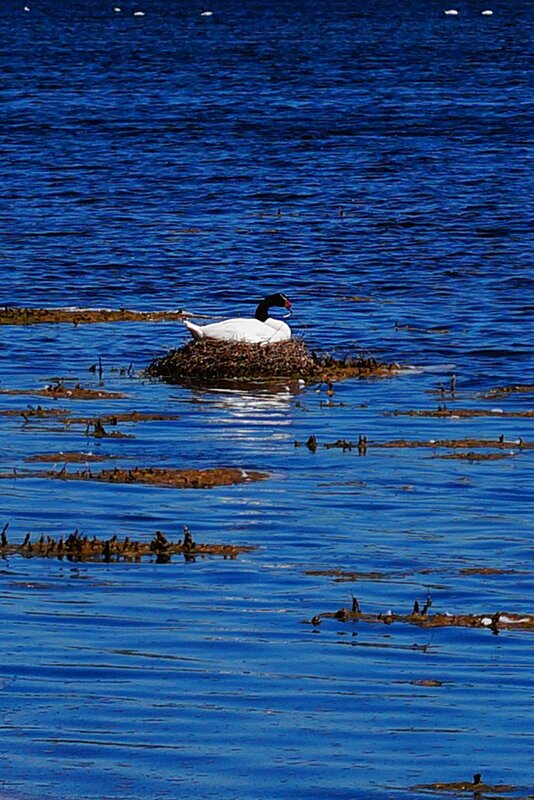 Waterfowl: ducks, geese and swans of the world. Harcourt-Brace Jovanovich, New York, and Sea World Press, San Diego. Wetlands International (2016). Waterbird Population Estimates. Available from: wpe.wetlands.org. [Accessed Feb 2018]. Woods, R., and Woods, A. (1997). 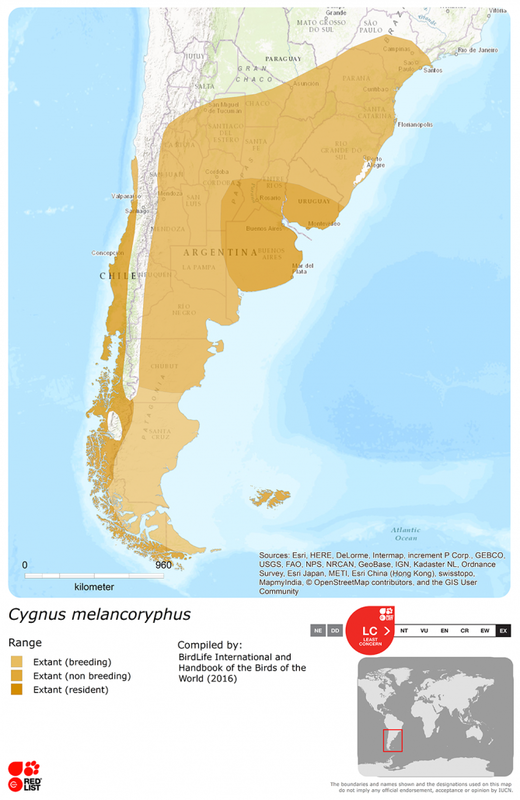 Atlas of the Breeding Birds of the Falkland Islands. Anthony Nelson, Oswestry, England.